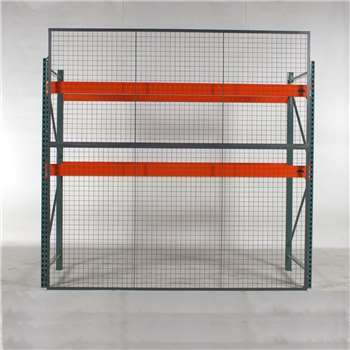 Protect workers and equipment from falling items with WireCrafters® RackBack® pallet rack backing panels. 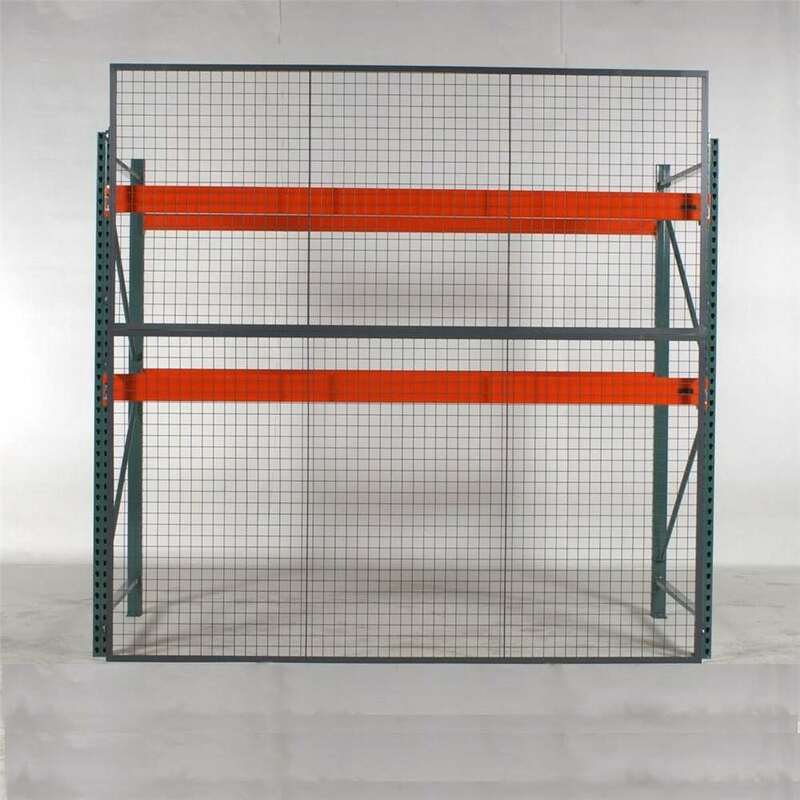 RackBack® wire mesh panels bolt directly to the back of your exsisting pallet rack uprights creating a sturdy barrier between stored items and the ground below. Quick and easy to install, RackBack® panels provide additional safety and secure stored items from accidental falling or shifting. 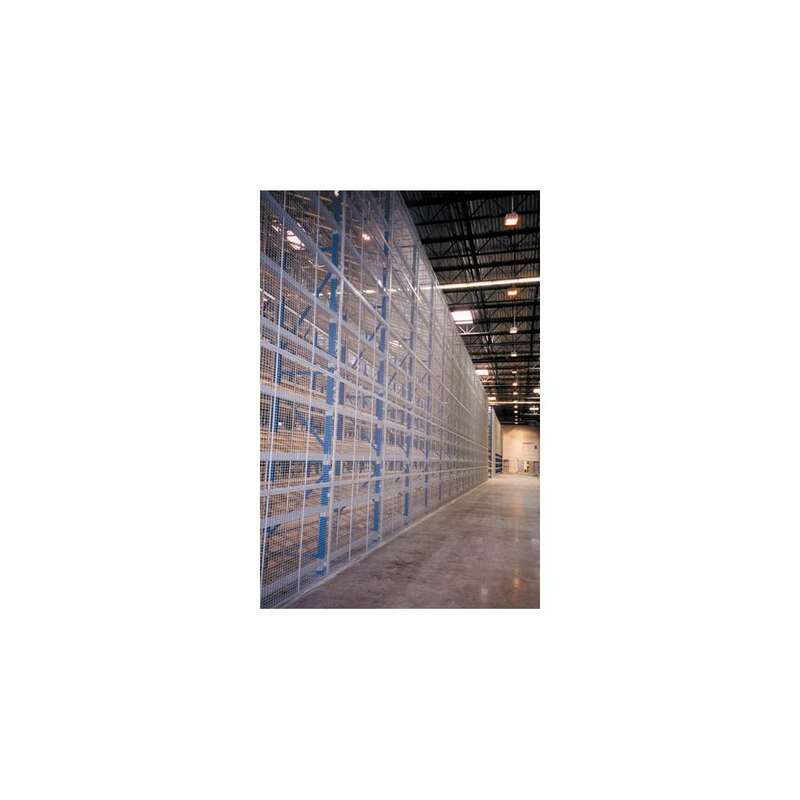 · Standard sized panels 4' - 5' high, match beam length in width. · Custom size panels available. · Panels made of 2" x 2" x 10 gauge welded wire mesh. · Flat steel stiffeners welded behind mesh for extra rigidity. 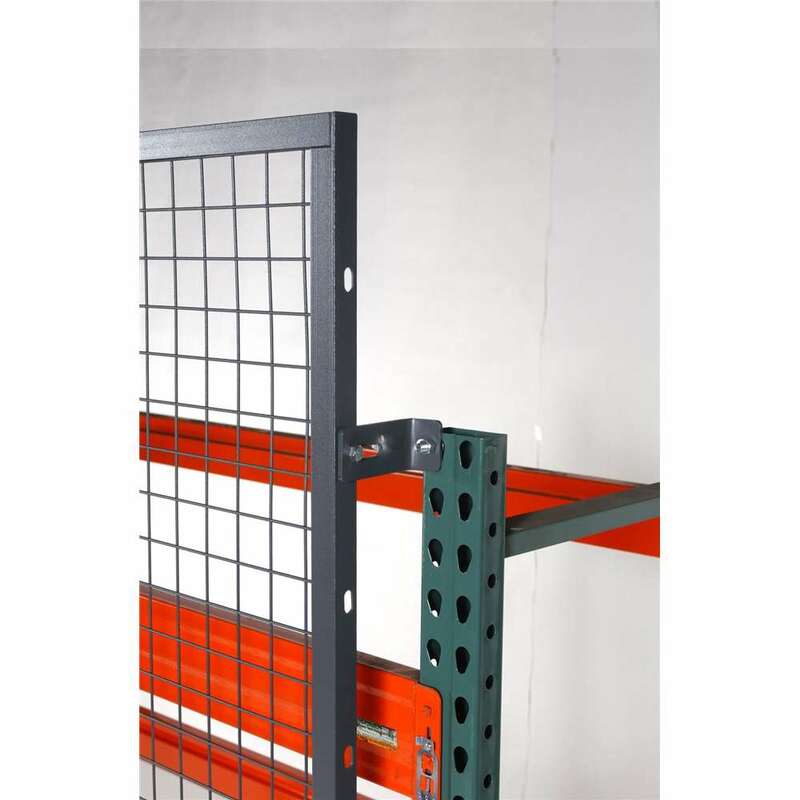 · Pallet Rack Backing Panels attach directly to rack with mounting brackets. · Multiple attachment points (seven) on ends of each panel. · Offset brackets allow for load to overhand rack beams. · Stack RackBack® panels one on top of the other to reach desired height. · "Above the Top" mounting allows panels to extend above top rack beam. · Assembly hardware is inaccessible from the exterior of the partition. 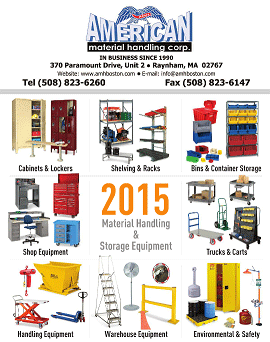 · Standard 3/8" assembly hardware is the heaviest in the industry. 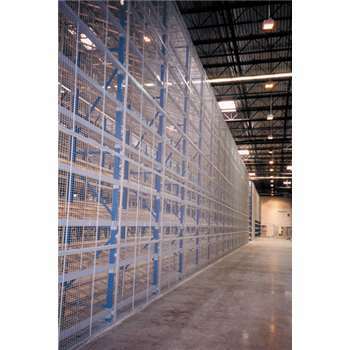 · Rackback® Pallet Rack Backing System may be started at the floor or at any level where protection is required. 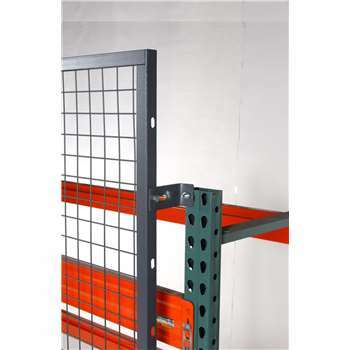 · Pallet rack backing panels can be mounted to support posts - if stand alone system desired. Shall be 10 gauge steel wire welded into 2" x 2" center to center square mesh, securely welded into a frame of 1 1/4" x 13 gauge steel angle factory punched with 7/8" x 7/16" slotted holes to accept 3/8" mounting hardware. Holes on vertical frame shall be punched on 6" centers. Panels six or seven feed wide shall have one 1/4" x 3/4" flat stiffener, wider panels receive two 1/4" x 3/4" stiffeners. Panels wider than ten feet shall be framed in 1 1/2" x 1 1/2" x 1/8" steel angle and receive three flat stiffeners. Shall be 3/8" standard thread grade two plated nuts and bolts. Floor anchors are 3/8" wedge type - provided. Powder Coated Gray Finish. Touch up paint included with each shipment. Other color options available.